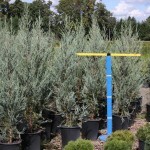 A fast growing, very narrow, columnar form with bright, silver-blue foliage. Useful as an accent in the landscape, for screening, or as a hedge. 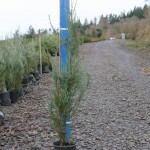 It prefers full sun, requires a well-drained site, and is quite drought tolerant once established.